The Sounders will start left back Brad Smith on Sunday night against FC Dallas, just days after acquiring him on loan from English Premier League side Bournemouth. Incumbent left back Nouhou isn't hurt and isn't dressed at all for the match. Not much of a surprise on Sunday as new left back Brad Smith is in the starting lineup for the Sounders against FC Dallas. As reported earlier, Smith resolved his visa issues and coach Brian Schmetzer had been leaning toward starting him over Nouhou. Speaking of Nouhou, no, he is not dressed at all for the game. And no, he is not hurt. 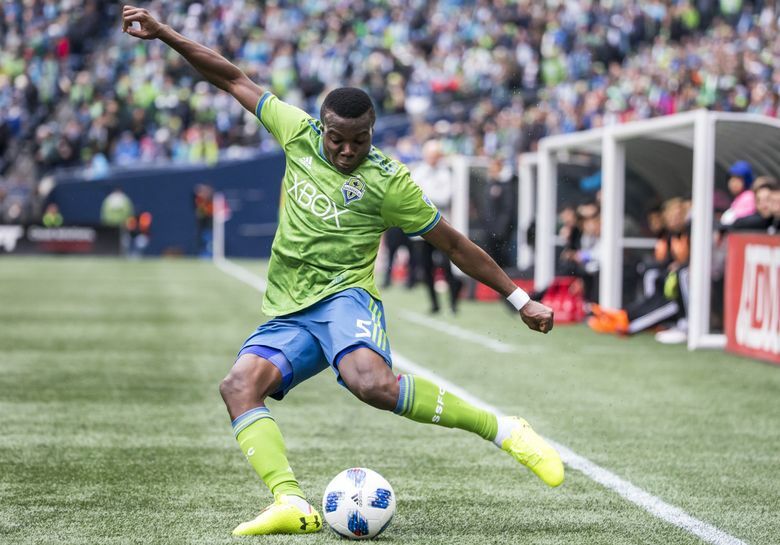 The Sounders were not happy with his first half play against Minnesota nor with how he handled some of their requests for on-field adjustments to be made. Hence, he was pulled from the match. Now, he is not on the field at all. This type of move is hardly uncommon with a second year player, especially one only 20 years old. There is a message being sent his way. Clint Dempsey also isn’t dressed for the match, but I guarantee you it’s for different reasons. Dempsey has been dealing with a lower back issue and the team wants him at 100 percent if he’s going to compete for playing time with some of the healthier guys out there.